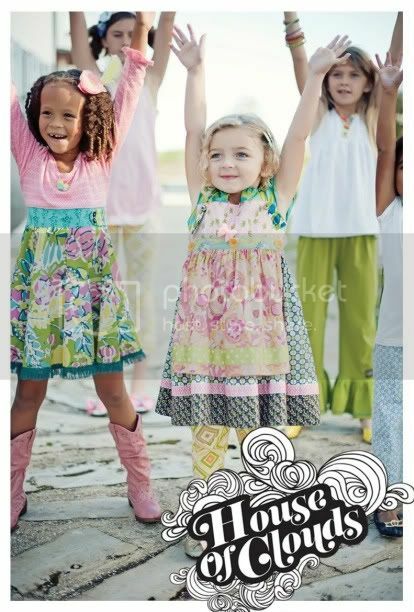 Raise your hand if you like Matilda Jane Clothing!!! The new spring line "House of Clouds" will debut on February 1st. I'm so excited for this line, I can barely contain myself (yes, I'm a dork and fully admit it). My local trunk keeper is hosting a few premiere shows at her house the weekend before, which gives you a chance to look at, touch and even try on all the pretty clothes! You can place your order at the premiere show, but the order won't go into the system until February 1st (fair play for all, lol). ONE free session with me*! And to make it even sweeter you will also receive one free 8x10 print. That's a value of $165!!! *Free session must be booked before 5/31/11. Additional prints or cd's can be purchase at full price (see info & pricing). If so, please RSVP with my trunk keeper at shannona@matildajaneclothing.com for directions and times. I will be attending the Saturday morning party myself =). I hope to see you there and GOOD LUCK!!! Very sweet of you to do this, it will make someone's day.